If you predicted a few years ago that for a little over $1000, we’d all soon be able to buy a remote control aircraft that uses satellites to fly, and beams live footage to your mobile phone, it would have sounded like science fiction. But this is now a reality. We tested a couple of drones that do all that and more, along with four more basic models. We also spoke to aviation authorities about what you need to know before getting airborne. And we talked to privacy experts about your rights on the ground. While drones are well-established for military, photographic and research use, their popularity among the general public is exploding. Cheap toy drones are a staple of electronic store catalogues, while more advanced models often carry good quality cameras and are capable of high speeds and long-range operation. This has been a nightmare for regulators and the law’s had to play catch-up. 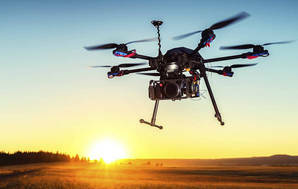 In August last year, the government introduced new rules for unmanned aircraft to manage the safety of manned aircraft, and people and property on the ground. Recent research suggests the aviation world is right to be worried: Virginia Tech College of Engineering found even a small drone would have a catastrophic effect if sucked into a jet engine, far worse than the bird strike most engines are designed to survive. The rules require flyers to familiarise themselves with aeronautical charts. This sounds daunting, but the Airways Corporation (New Zealand’s air traffic management service) drone hub — airshare.co.nz — provides an easy-to-understand tool, based on Google Maps. This outlines controlled airspace and any areas of New Zealand within a 4km radius of aerodromes, along with other restricted zones such as military operating areas. The Civil Aviation Authority (CAA) also recommends all users check out the rules available on its website. If you plan on flying in controlled airspace, and you want to fly outside of the parameters of a shielded operation, you’ll need to submit a flight approval request via the airshare website. If it’s granted (they usually are), you’ll then have to ring Air Traffic Control before take-off and after landing. That might all sound a bit much for a child who’s been given a toy drone and just wants to do a few circuits down at a sports field. But CAA General Aviation general manager Steve Moore says it’s essential all operators know the rules before they fly, “just like they would talk to their children about the road rules when buying them their first bicycle”. As for whether the rules are likely to be tightened up, Mr Moore doesn’t think so. If anything, he reckons the law might become more accommodating as “advances in technology allow the integration of unmanned aircraft with manned aircraft”. This means drones and manned aircraft may soon be able to communicate with each other to automatically co-ordinate movements, and stay out of each other’s way. Get consent from anyone you’re going to be flying directly above. This means if you’re filming a soccer match and want to fly over the field, you need to get permission from all players and spectators. You may also need to get permission from council (as the owner of the park), unless it’s already given permission via its website. Don’t do anything hazardous, such as flying your drone at the limits of its range with low battery. Maintain a direct line of sight with your drone — don’t just rely on a live video feed. Stay below 120m (400ft) from ground level. Know airspace restrictions that apply in your operating area — for this you’ll need to look at airspace maps. Don’t fly within 4km of any aerodrome where Air Traffic Control is not provided (called an unattended aerodrome, which includes helipads) unless conducting a “shielded operation”. This is when your aircraft is within 100 metres of, and below the level of an object that provides a barrier between it and the aerodrome, such as a building, row of trees or earth embankment. Get Air Traffic Control clearance if flying in controlled areas, unless it’s a shielded operation. Most cities are serviced by an airport where Air Traffic Control is in attendance and the controlled airspace around that airport goes down to ground level and is much larger than 4km. For our test, we got our hands on six ready-to-fly quadcopters, meaning they all had four rotors and required no assembly apart from attaching the propellers, feet and hull guards. WANT TO SEE MORE STUFF LIKE THIS? 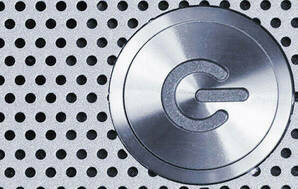 LIKE US ON FACEBOOK OR SUBSCRIBE TO OUR YOUTUBE. 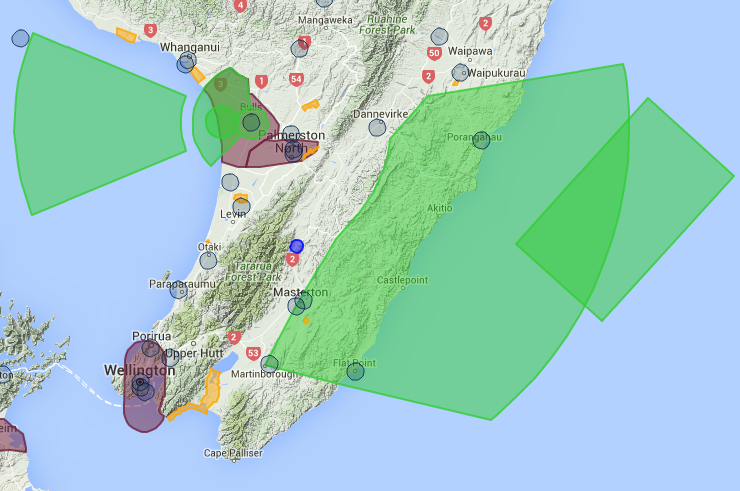 Restricted and controlled airspace in the lower North Island, as seen on airshare’s dynamic map. The red areas are control zones managed by Air Traffic Control. They extend to ground level. The blue areas are within 4km of an aerodrome. The orange areas are Low Flying Zones, where drone use is prohibited. The green areas are Military Operating Areas, where permission from the Administering Authority is required. The bright blue areas are restricted areas, often located above areas of ecological significance. Permission from the Administering Authority is required.